Unique Moments Photography of Gig Harbor Washington captured this powerful images two years ago. The groom lost has father earlier in the year and he wanted to have something special for his father at the wedding. 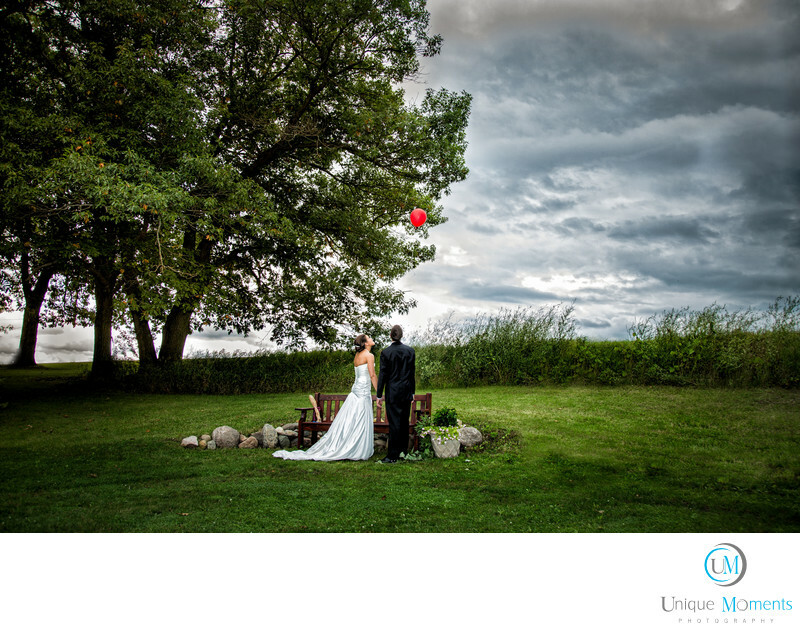 They stopped after the vows and walked over to the balloon and released it for his father in heaven. Truly an emotional and powerful moment and this was the best picture of the 2013 season. Weddings are about telling a story and capturing the emotions that create them. This was as good at it gets for a photographer and the images has been framed and placed on their wall.Truly an Honor to create an image like this for our clients.